Have you seen the first Jurassic Park movie from 1993? Remember the T-Rex? If so, you will appreciate the stunning effect that can be created by huge, physical props. The T-Rex’s giant on-screen presence commanded a fear which we rarely experience with modern movie monsters. And there’s a good reason that it was so realistic compared to today’s computer generated ones — it was a giant animatronic puppet built entirely by hand by a team of special effects artists. Props and animatronics are a cornerstone of movie and theater production. 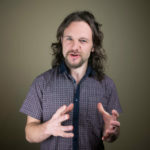 Many people think that CGI (Computer Generated Imagery) has got rid of the need for physical effects. However, according to industry experts, the movie industry is actually experiencing a rise in demand for physical effects. Movie makers have realized that physical props are more realistic. 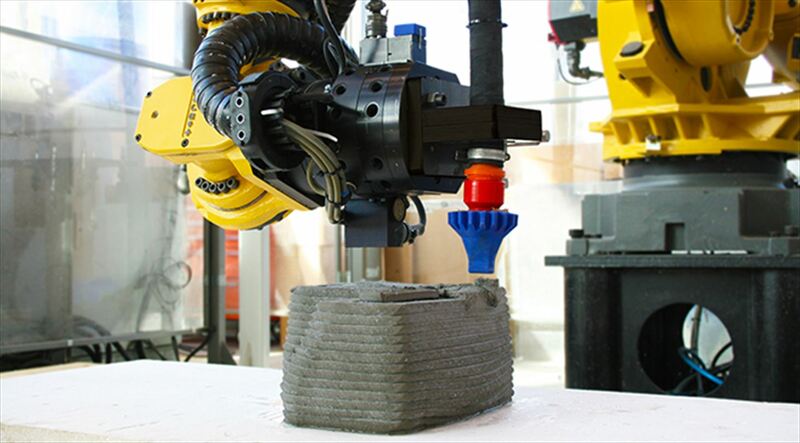 Robots milling is one way that prop builders can stay competitive. It’s faster, easier, and more accurate than building props by hand. Let’s look at how the movie industry uses robot milling to bring their props to a whole new level. The sponsored article is about CNC Robotics Ltd, a robot integrator which specializes in robot machining. In it, they explain how they started the business in 2004 making theatrical sets. Four years later, they developed a robot milling system to increase production. Soon, the robot machining completely took over their manual set building operations. Prop building is traditionally a long and expensive process. Every time you see an impressive prop in a movie, you can be sure that someone went to a lot of effort to make it. 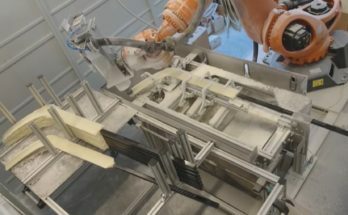 Robot milling, it turns out, is a much more efficient way to produce large, accurate props. But, some people worry that robots could spell the end for skilled prop builders. The article explains that this is certainly not the case. Far from it! Robotic machining allows the team to focus on the artistic work and move away from the heavy-duty work of building large props. To give you an idea of the amount of work involved in making props, let’s look at how large movie effects were traditionally made. The most complex props are almost certainly animatronics. So, I’ll use the example of that animatronic T-Rex from the original Jurassic Park movie. It took a long time to make — the sculpting of its skin texture took 16 weeks. Initial designs of the dinosaur look and mechanics. Building of the outer skin of the puppet, which creates the dinosaur’s final look. Building of the inner mechanics and control of the puppet, which makes it move. Robot milling is most useful during the second stage — when building the outer skin — so we will focus on this stage. 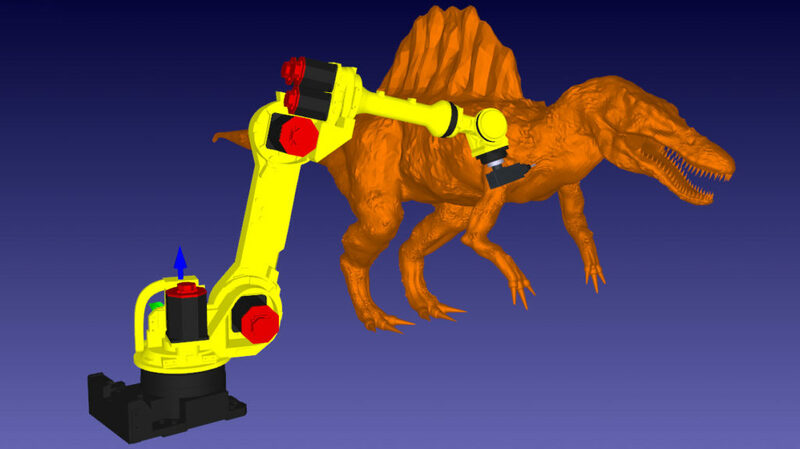 Of course, when Jurassic Park was made in 1993 there was no robot milling available so everything was done by hand. Sculpt a small (1/5 scale) model of the dinosaur in clay. Cut the model into small vertical slices. Use an overhead projector to project the shape of each slice onto a piece of plywood at 5x magnification, then cut out the full-size wooden slices. Build a full-size metal armature and arrange the slices onto it to get the basic shape of the dinosaur. Cover with a chicken wire and fiberglass skin, then cover with clay. Sculpt the skin texture into the clay of the full-sized dinosaur. Paint epoxy onto the clay to make a negative mold of the skin texture. As you can see, it’s a pretty involved process! Surely there must be an easier way to do this! There is an easier way: robot milling. Fast forward 7 years (to 2000) and Jurassic Park 3 was being made for release the following year. It featured an animatronic dinosaur even larger than the original T-Rex, the Spinosaur. Thanks to advances in rapid prototyping, the team at Stan Winston Studios now had a new technology available to them. With CNC milling they were able to cut the sculpture time in half. Scan the small (1/5th scale) model into a computer. Rapid prototype the full-sized model into foam blocks using CNC milling. Sculpt finer skin details into the foam by hand. In 2001, milling technology was not as accurate as it is now. The foam models were quite rough so required quite a lot of hand sculpting to improve the surface texture. 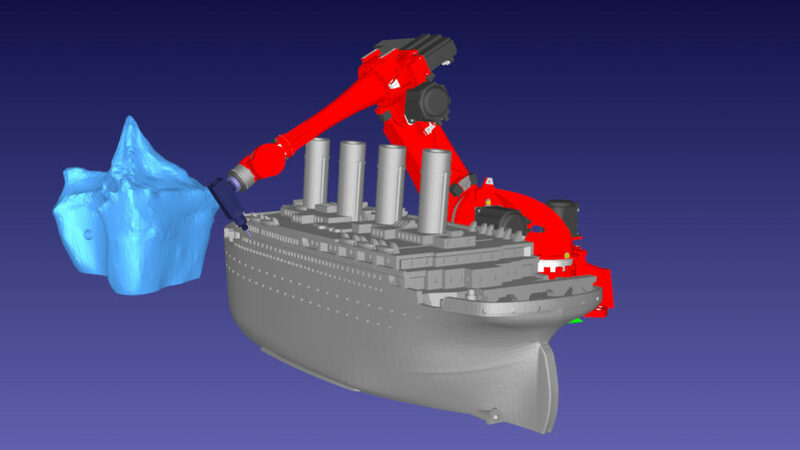 With modern robot milling, however, you can create huge models with very high levels of detail. There are several large animatronics in the new Jurassic World 2 movie (which includes more practical effects than in the previous movie). I’m willing to bet that they were sculpted with robot milling and required much less hand sculpting than the 2001 spinosaur. Forms for molds, as was the case with the animatronic spinosaur. Architecture. Columns, bricks and other architectural features are often made from sculpted foam blocks which are then painted. Statues. Statues in movies are often made of sculpted, painted foam. 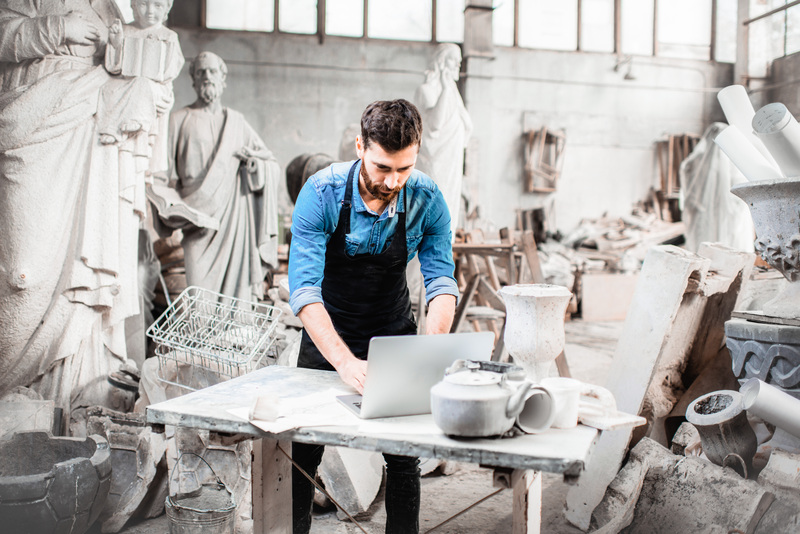 It’s much quicker and cheaper to sculpt a statue with a milling robot than to create one in the traditional manner. Historical artifacts. Weapons, fossils, ruins. You name it, it can be made of foam. Practically any prop can be made of milled foam. 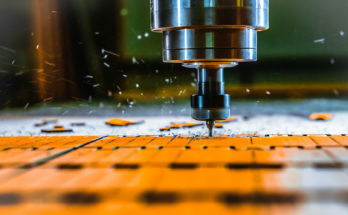 Although some props are still made in the traditional way (by hand), robot milling is certainly on the rise. 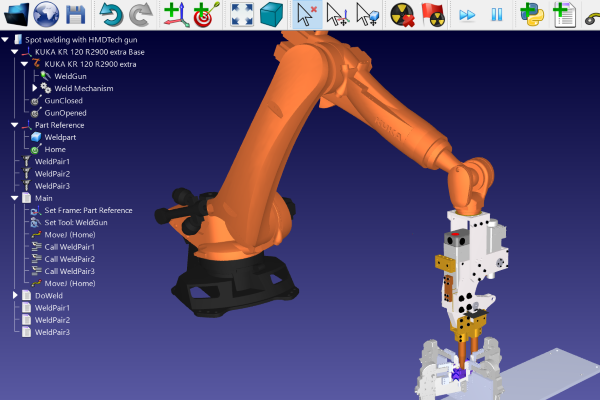 It’s easy to set up a robot milling project in RoboDK, as well as add external axes to allow you to mill bigger parts. 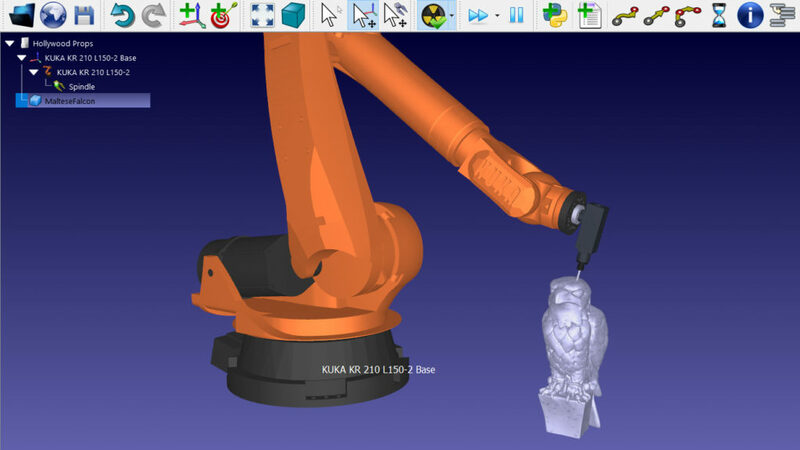 Take a look at our demos of robot machining on the examples page. Also, check out the library directory in your copy of RoboDK, which includes an example of milling an architectural column with 8 axes. 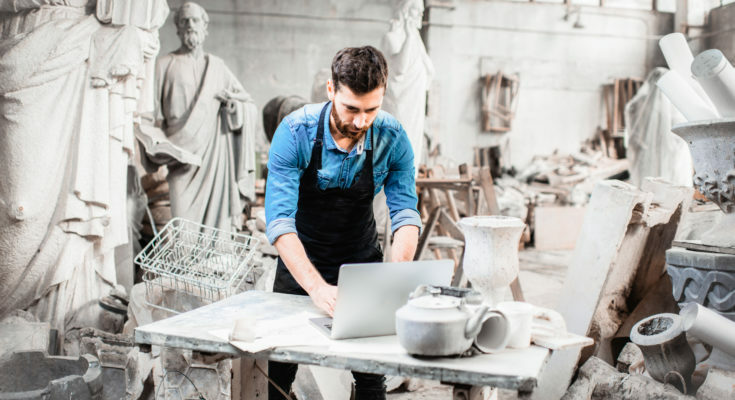 You can use robotic milling for your next movie project, or (if you don’t make movies) for your next manufacturing project! 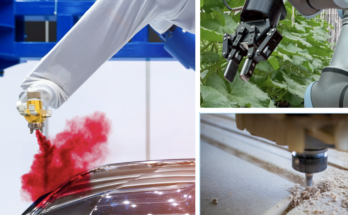 How could you use robot milling in your business? Tell us in the comments below or join the discussion on LinkedIn, Twitter, Facebook or Instagram.